After a good run, you shut down the engine for the day and settle into a nice anchorage. The following morning, cup of coffee in hand, you press the start button and the engine won’t start. If I were the unlucky skipper, I’d repeat the process. Assuming no imminent danger, I am better off if it still won’t start, because if it does eventually start, I’m likely facing an intermittent problem, one that will be far more difficult to solve with an engine that does start. The situation can be divided into two basic scenarios: The engine will not crank at all, or it cranks, but will not start. Before doing any troubleshooting, check the shift lever position. 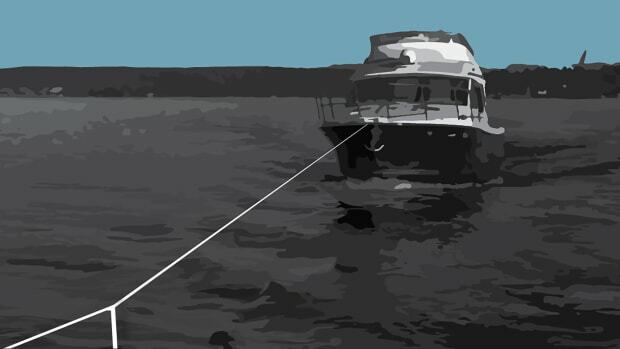 Many boats have a safety mechanism to prevent starting the engine while in gear. Move the lever in and out of gear a few times and try again. If the engine still doesn’t start, the neutral safety may have failed, and it might be necessary to temporarily bypass this switch to get the engine started. Assuming that the shift lever was not the problem, start the troubleshooting with the start battery, battery switch, and ignition circuit breaker. First check the voltage of the battery, either at the main panel or with a multimeter at the battery posts. You might be able to eliminate a host of possible causes by checking for voltage at the starter solenoid. The solenoid has two larger terminals (see “Shake Hands With Solenoids,” October 2014). The wire from the battery connects to one terminal, and the other terminal sends current to the starter. 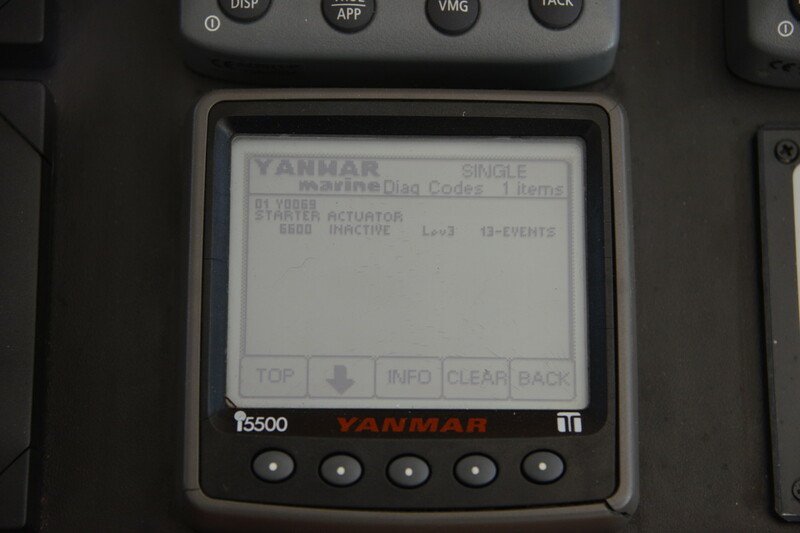 While your partner tries to start the engine, test for voltage on the terminal connected to the starter with the positive meter probe on this terminal and the negative probe on the engine block (make sure you have a good connection—preferably find an unpainted bolt or scratch through the paint). The voltage will fall into one of the three following categories. If the voltage reads “0” the problem is somewhere between the battery and the solenoid, including the ignition switch circuit and the solenoid itself. Check voltage at the battery posts and if you find good voltage there the problem lies between the battery switch and the start solenoid or in the solenoid. Make sure the battery switch and the ignition circuit breaker are in the on position. If yes, then refer to Shake Hands With Solenoids column to troubleshoot and do a work-around. If the voltage reads between 0 and about 8 volts, the problem is either the battery or the starter itself. Check voltage at the start battery (while cranking). If it’s between 0 and 8 volts, you have a battery problem. Start the engine from an alternate battery, or start the generator and make sure the charger is working. Some boats have a parallel switch for engine starting. If you have the option to select an alternate battery, that is a better approach than using the parallel switch. Here’s why: If the start battery has a bad cell, when you parallel with a good battery you weaken the healthy battery. Parallel switches work well when you have a healthy battery that is low, but not when the battery has a severe problem. 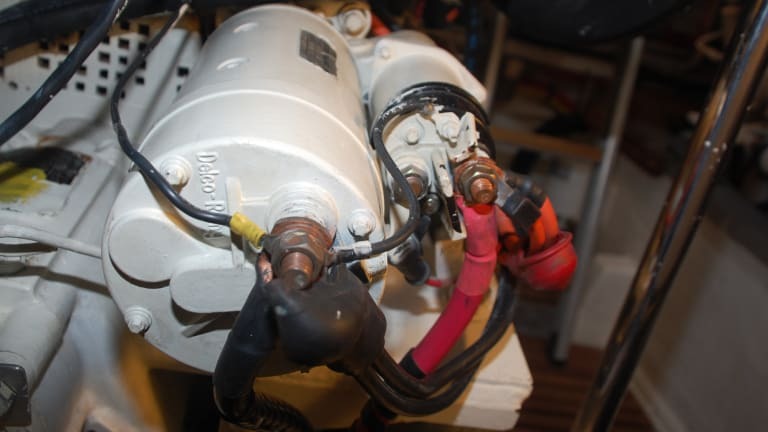 Boaters often underestimate the condition of a battery based on the voltage. Keep in mind that at 12 volts a battery has about 50 percent of its capacity remaining, and at 11.5 volts only about 10 percent remains. If the battery has good voltage (12 volts or more) the problem likely will be at the starter. Examine all wiring connections, especially at the starter. If you find rust or corrosion, turn off the battery switch and remove and clean the terminals. If the terminals look good, try tapping the starter with a phenolic hammer or the wooden end of a metal hammer while cranking. This practice should only be attempted on older Bendix type starters. 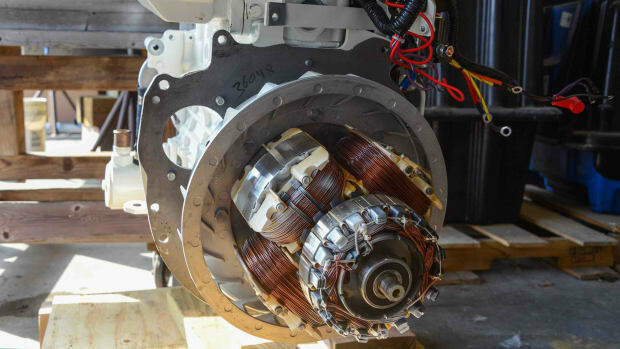 On the newer planetary gear starter motors tapping might damage the internal magnets and therefore should be avoided. 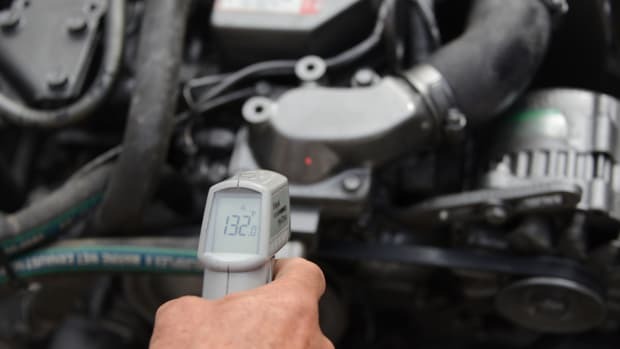 If it reads more than about 8 and less than about 10, it is likely that the starter or the engine has seized or you have excessive resistance in the starting circuit from poor connections, or resistance inside the solenoid. See above for steps to try related to the starter. If the engine is seized, you either have an internal failure (game over), or the engine has one or more cylinders filled with water, known as a hydro-lock. 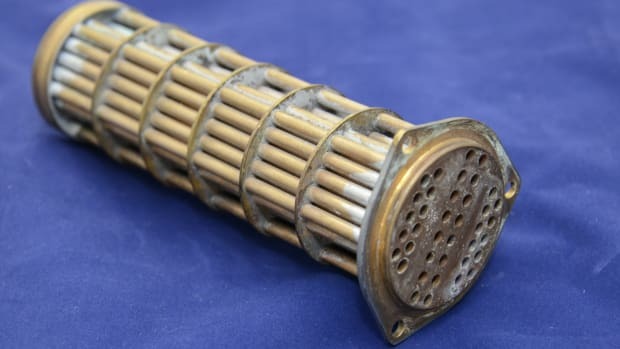 The pistons and cylinders compress air to generate heat, but water cannot be compressed and the piston stops once it comes up against the liquid, preventing the engine from turning over (and sometimes bending connecting rods in the process). 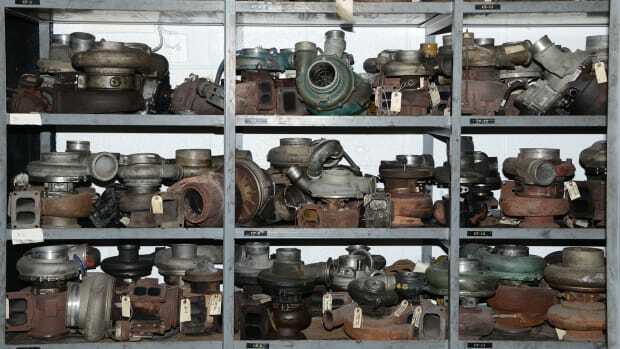 Depending upon your engine and your mechanical skills, you might be able to overcome a hydro-locked engine, but for most of us it’s time to call a professional. Let’s assume that the engine cranks with its usual vigor, but will not start. Use caution when cranking your engine, because prolonged attempts or too many of them can lead to problems. Each try should last no longer than 5 to 10 seconds, and pause about 15 seconds between attempts. Every time you crank, a tremendous amount of current flows into the start circuit, and excessive cranking will create high temperatures that can damage components. As for the number of attempts, you want to avoid hydro-locking the engines as discussed earlier. No rule of thumb determines the safe threshold, due to the variety of configurations. 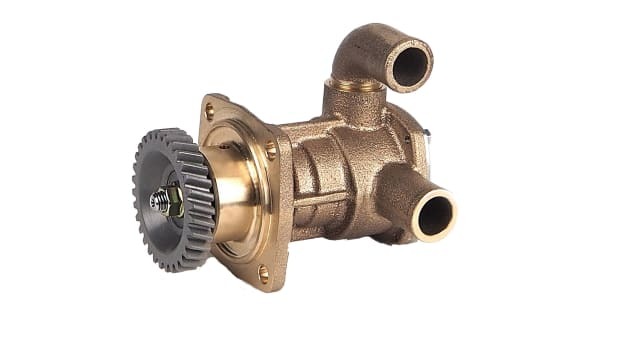 If the engine has not started after several attempts, you can close the raw-water intake seacock, but you must be prepared to open it immediately if the engine starts, otherwise you may ruin the impeller. Diesel engines used to need three things to run: air, fuel, and compression. Now a fourth element has been added: a properly working engine computer or ECU. If your engine ran yesterday, chances are that air is not a problem (clogged filter, blocked exhaust). If it has been running well (not smoking, starting reliably), then compression will not be a likely suspect. That leaves us with fuel and (on newer engines) the computer. Fuel problems might be simple. Perhaps you changed a filter and left a supply valve closed, pinched an O-ring, or inadvertently bumped against a valve handle and cut off the supply. Inspect valve positions at the tanks and filters first. Look at the fuel level inside the primary filters to see if they are full. A clogged primary or secondary fuel filter falls low on the list of possibilities. This condition usually occurs gradually, and on the previous day’s run high vacuum pressure would have been noted on the primary filter. A clogged primary or secondary filter would eventually limit engine rpm during the run, not suddenly overnight. If you recently changed the fuel filter, it is possible you introduced air into the system. On older engines the air can prevent the engine from starting, but on most engines the cranking process will force the air out. If these areas check out okay, it’s time to take a look at the engine. 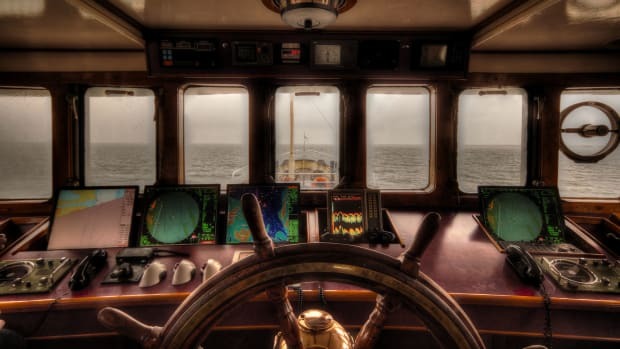 Most marine diesels use a solenoid to shut down the engine. They normally remain open, allowing fuel to flow. When you press the STOP button, current flows to the solenoid, closing the valve and cutting off the supply of fuel (in some cases, the current holds the valve open while the engine runs). These valves can fail and when that happens, no fuel can flow. If you are familiar with this solenoid on your engine, you can often visually confirm that it functions properly. Your engine manual likely shows the location and function of this solenoid. You can quickly rule out fuel issues by checking the return line. Remove the return line at the tank and hold the end over a cup while someone cranks the engine. If fuel is coming through, then the engine is getting enough fuel to run. Given our assumption that the engine has been starting easily and running well, issues related to compression and air supply would be longshots. Using starting fluid on a diesel engine should be avoided. You might void the warranty or damage the engine. If your engine has glow plugs, ether-based fluids can ignite and cause damage. Ether combusts at a lower temperature than diesel fuel, and that means it will ignite before the piston reaches the end of the compression stroke, throwing off the timing of the combustion cycle. Additionally, the starting fluid washes the oil off of the cylinder walls, leaving them dry during start-up, which accelerates wear. If all else has failed and you must get the engine running, you can try spraying a small amount of WD40 into the air intake. WD40 contains enough lubricant to protect the cylinder walls and is less volatile than ether. Silicon spray lubricant works well in this application as well. Remember however, that an engine under warranty might be jeopardized. Use of any aerosol as a starting fluid should be a last resort. If the engine starts briefly and then quickly dies, you probably have a fuel delivery problem. 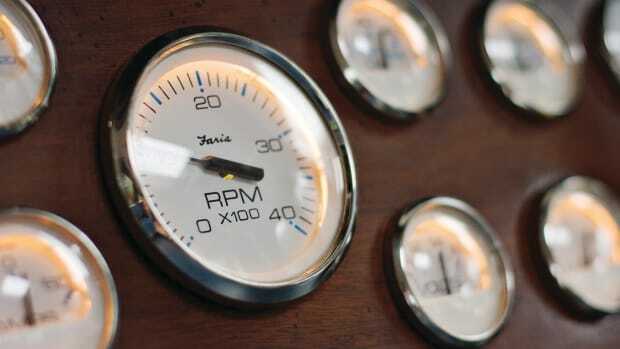 On newer engines (the year varies with horsepower range and manufacturer), a small computer (or ECU) controls its operation. A failed ECU—or a failed connector leading to the ECU—can prevent an engine from starting. In some cases the digital instrument panel at the helm gives you access to error codes. If you are lucky, the code reference can be found in the engine manual. In many cases the error code numbers are generic and can be found online. If the ECU has failed, you will only need one tool—your cellphone—and the number of the local tow company. Want to learn more about Maintaining and Troubleshooting Diesel Engines? 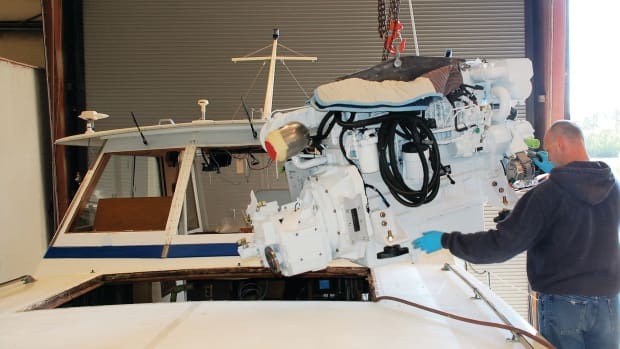 Check out the Marine Diesel Maintenance & Troubleshooting Course over at Boaters University, our online education platform. Use promotional code PASSAGEMAKER to save 20%.